This dish is a version of an Indian dish called Murgh Makhani (Butter Chicken). 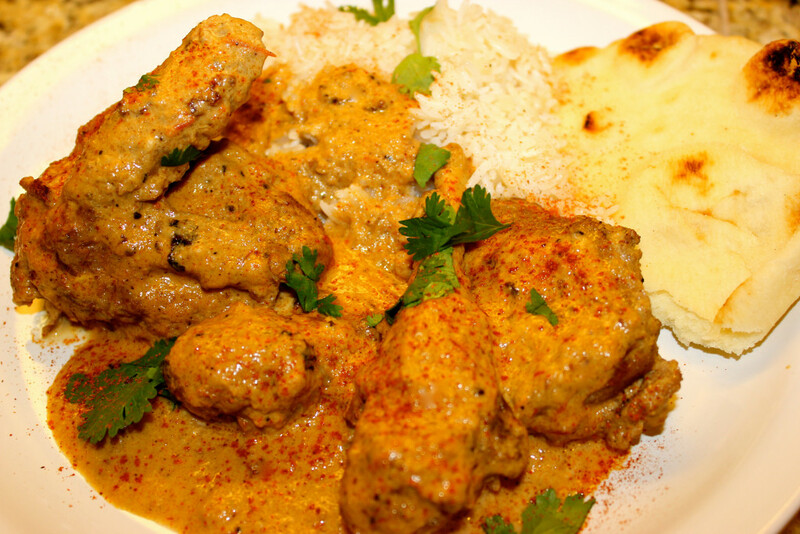 In my version, I first braised the pheasant with Indian spices and then added heavy cream, toasted cashews and melted butter to finish cooking the pheasant in a creamy, slightly spicy sauce. 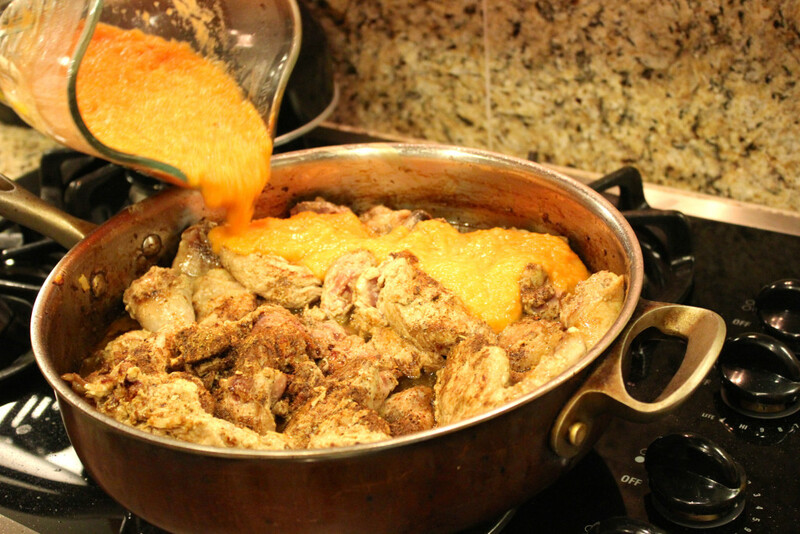 The result was a creamy, sweet, spicy, tender pheasant!! I served the teetar makhani with jasmine rice and an Indian bread called Naan to sop up all that yummy “gravy”. 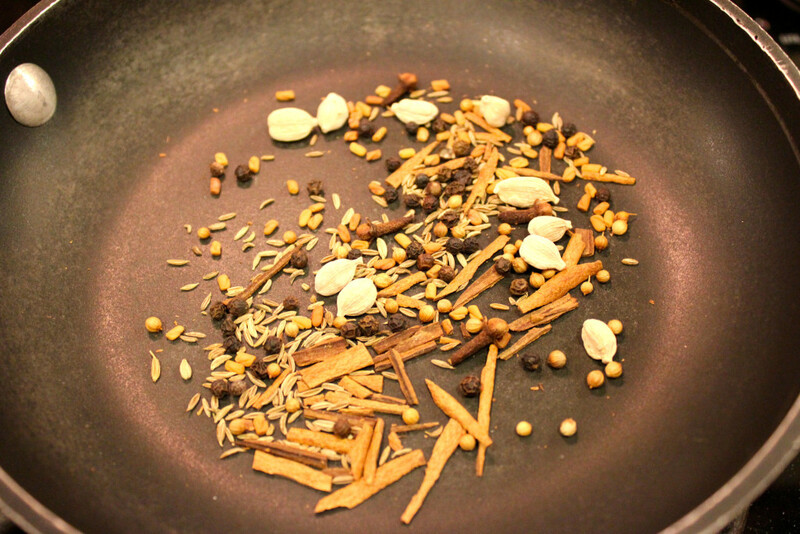 Add cinnamon stick, green cardamom, cloves, black peppercorns, cumin seed, coriander seed, and fenugreek to a small sauté pan and toast over medium high heat, swirling constantly, until the spices begin to smoke. Pour the spices onto a plate and set aside until cool. Once cooled, add the toasted spices, and bay leaves only, to a spice grinder (or coffee grinder), and pulse until finely ground, pour into a bowl. Add the garam masala, curry powder, cayenne pepper, turmeric, and kosher salt to the spice mixture. 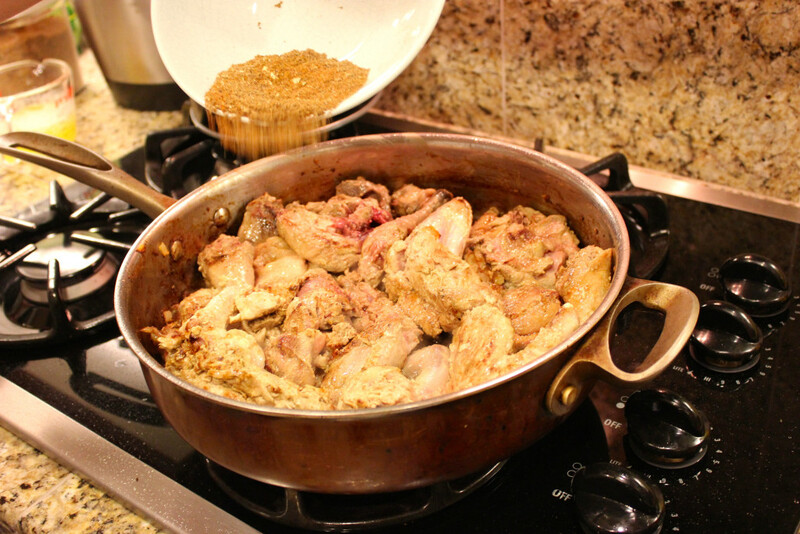 Using *half* the spice mixture, rub over the pheasant pieces,*reserve the remaining spice mixture. Pour 1/4 cup heavy cream on the pheasant. 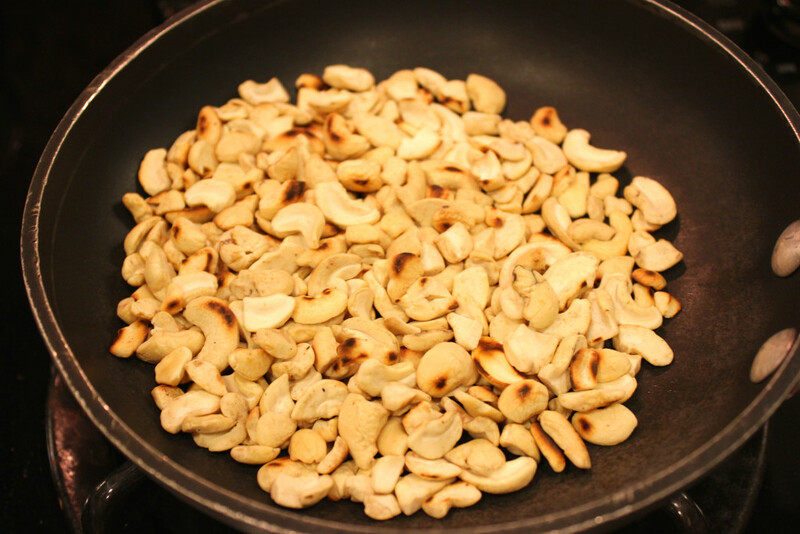 Add the cashews to the same pan, and toast over medium high heat, until toasty brown, then pour onto a plate and set aside. 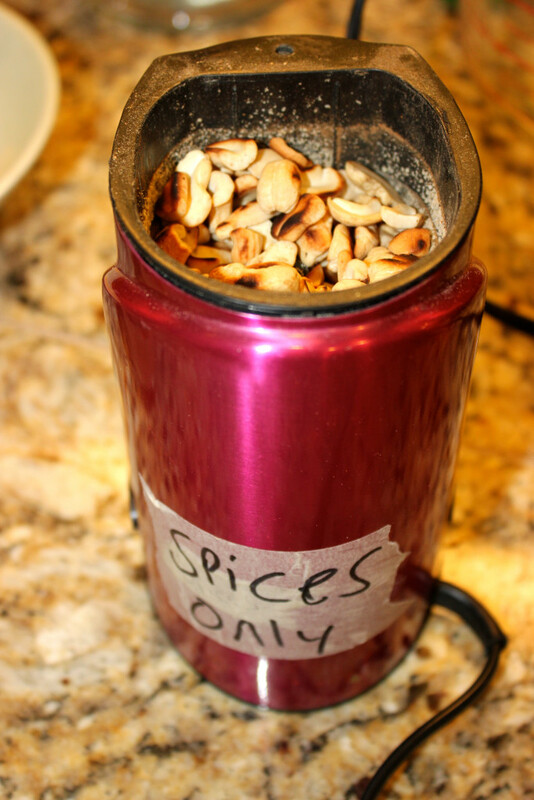 Once cooled, grind the cashews and set aside. Slice the onion, mince the garlic, measure out the ginger paste and chop tomatoes and set aside. Heat a large frying pan and add a little grape seed oil (or vegetable oil), and add the ginger paste, garlic, onions and tomatoes and sauté for about 3 minutes. 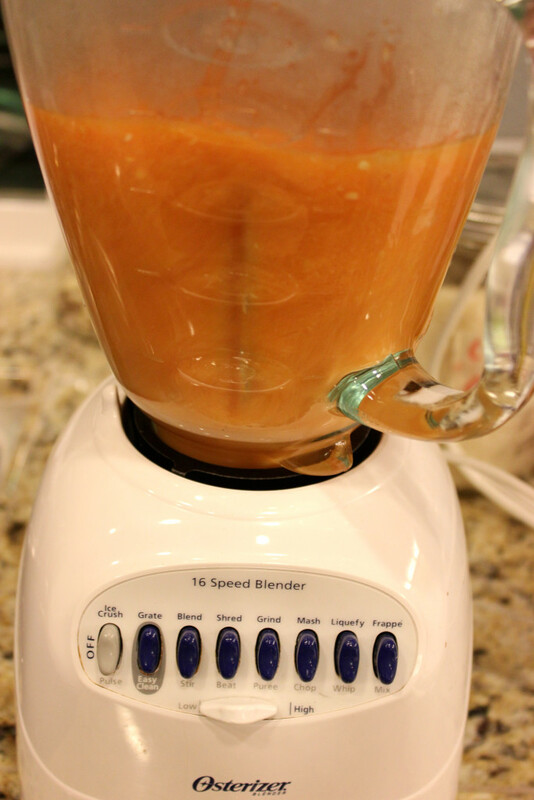 Pour the sautéed onions and tomatoes into a blender and puree until a paste (add a little chicken stock if needed), and set aside. In the same frying pan, add a little more oil and begin to sear the pheasant pieces a few at a time, until lightly browned on each side. Transfer the pheasant to a large casserole dish (or leave in the pan if it’s oven safe). Add the remaining spice mixture over the pheasant. Pour the chicken stock over the pheasant. Add the tomato onion puree on top. Cover the casserole dish with foil, and place in the oven for 1 hour. 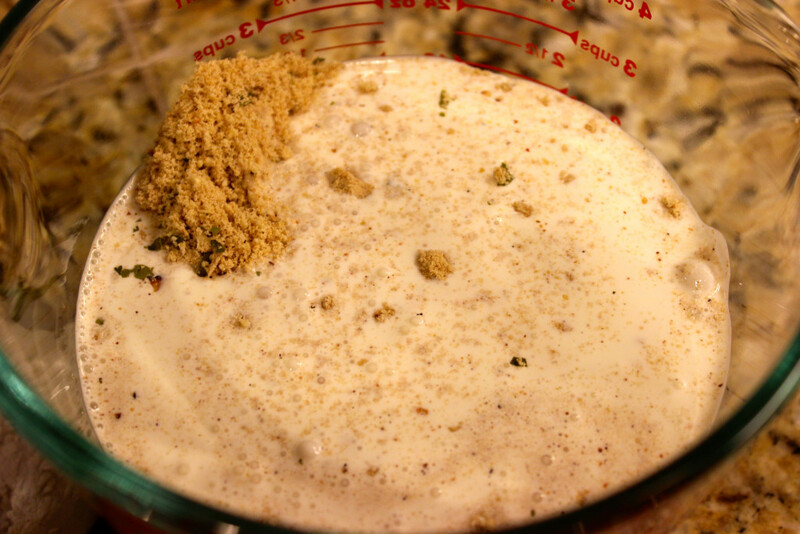 While the pheasant is cooking, to a large measuring cup, add the remaining 1 cup heavy cream, toasted ground cashews, and brown sugar and stir to make a “cashew cream. 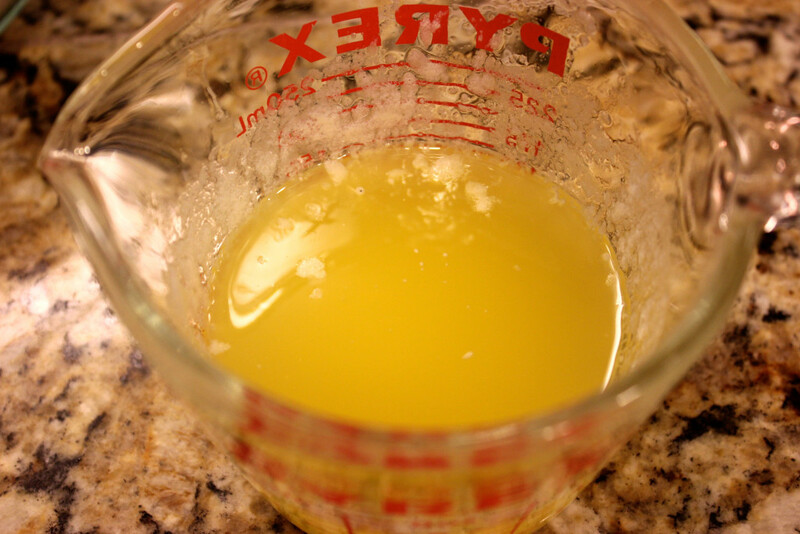 Melt the butter and add to the cashew cream. Remove the pheasant and pour the cream mixture over top, stir gently and place back in the oven, uncovered this time. Continue to braise, uncovered for and additional 20 minutes. Serve with steamed Jasmine Rice and Naan (Indian bread). 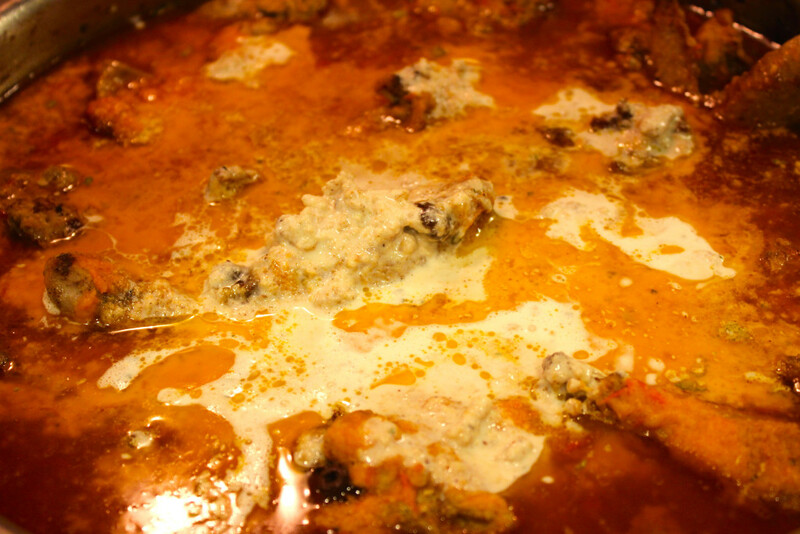 This dish is a version of an Indian dish called Murgh Makhani (Butter Chicken). In my version, I first braised the pheasant with Indian spices and then added heavy cream, toasted cashews and melted butter to finish cooking the pheasant in a creamy, slightly spicy sauce. The result was a creamy, sweet, spicy, tender pheasant!! I served the teetar makhani with jasmine rice and an Indian bread called Naan. Cut pheasant into pieces and set aside. Add cinnamon stick, green cardamom, cloves, black peppercorns, cumin seed, coriander seed, and fenugreek to a small sauté pan and toast over medium high heat, swirling constantly, until the spices begin to smoke. Pour the spices onto a plate and set aside until cool. 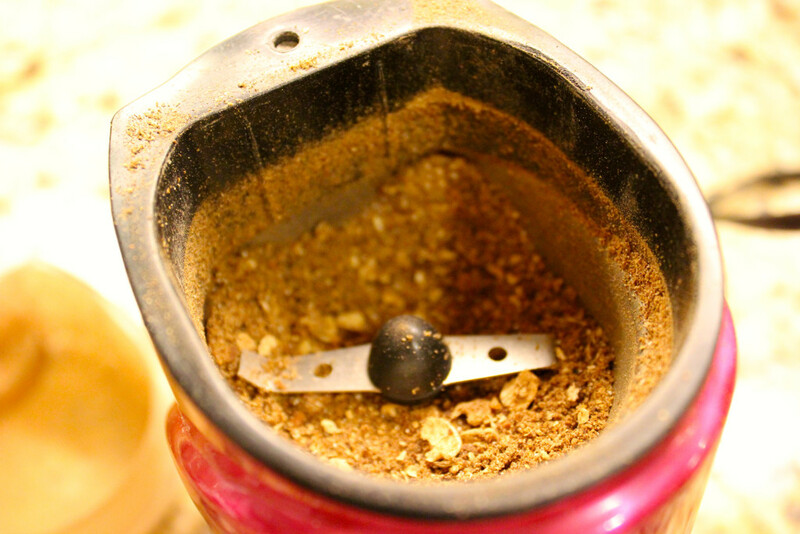 Once cooled, add the toasted spices, and bay leaves only, to a spice grinder (or coffee grinder), and pulse until finely ground, and pour into a bowl. 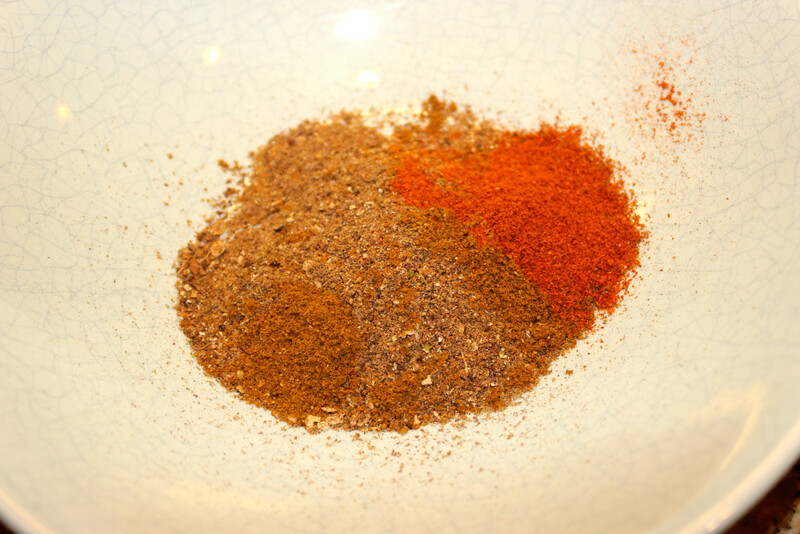 Add the garam masala, curry powder, cayenne pepper, turmeric, and kosher salt to the spice mixture. Rub *half* the spice mixture, over the pheasant pieces, *reserve the remaining spice mixture. 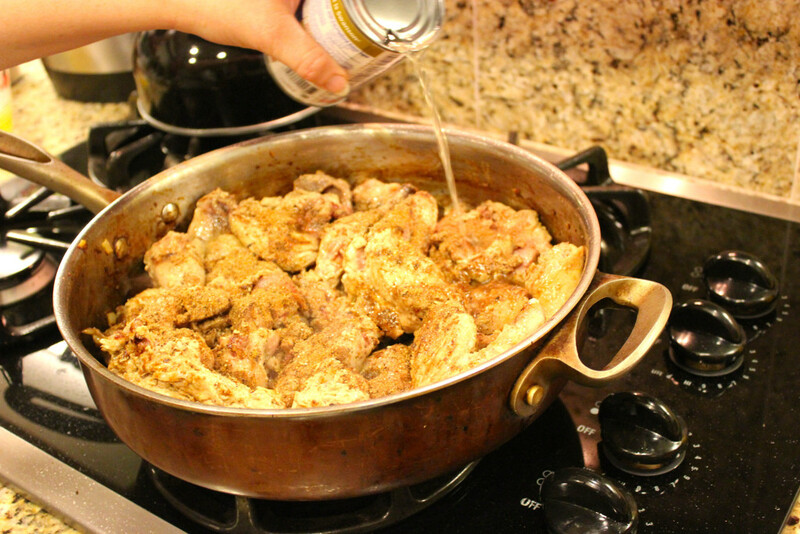 Mix the pheasant pieces with 1/4 cup heavy cream, and set aside. 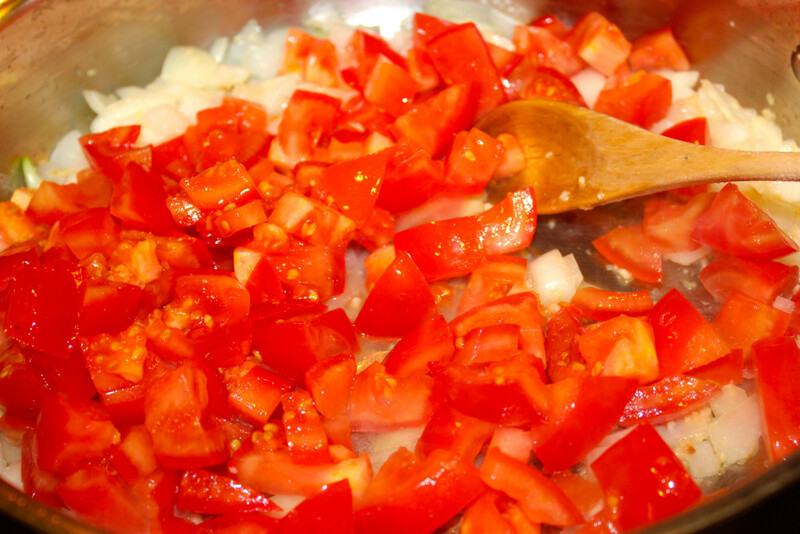 Chop the onion, mince the garlic, measure out the ginger paste and chop tomatoes and set aside. Transfer the pheasant to a large casserole dish. Add the tomato onion puree on top. Cover the casserole dish with foil, and place in the oven for 1 hour. 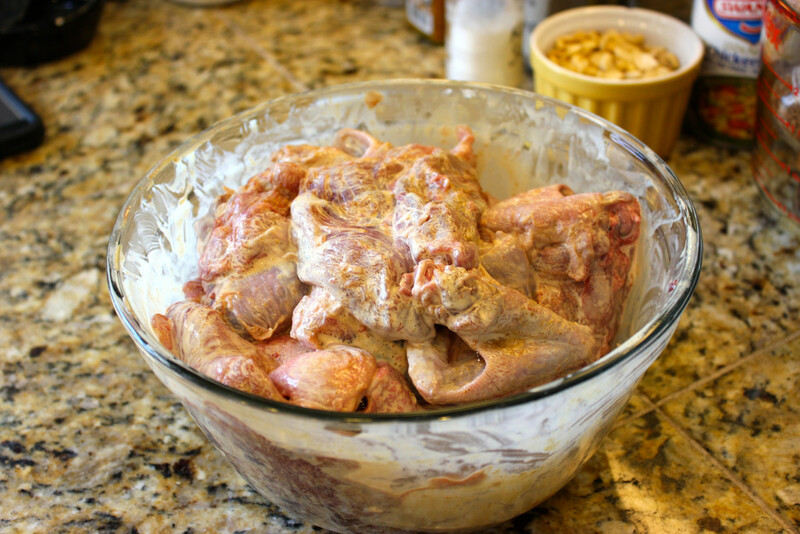 Remove the pheasant and pour the cream mixture over top, and place back in the oven, uncovered this time. ** My large frying pan is oven safe, so I just keep the pheasant in the same pan I browned it in. 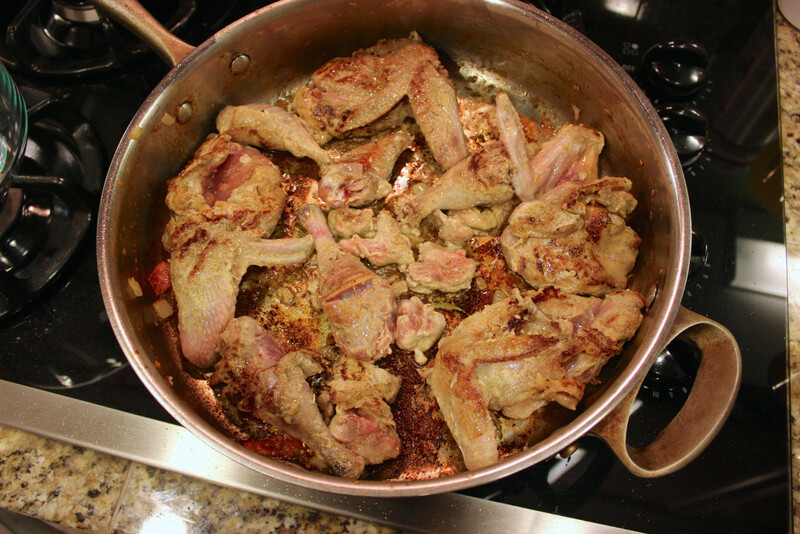 If your pan isn't large enough, or oven safe, transfer the browned pheasant pieces to a casserole dish and "deglaze" the frying pan by pouring the chicken stock into it (scrap up the browned bits aka "fond" for flavor) and then pour it all over the pheasant. Serve with steamed Jasmine Rice and Naan (Indian bread).